LONDON: British Prime Minister Theresa May’s Brexit blueprint came under heavy attack on Monday, with pro-Brexit figurehead Boris Johnson calling it a surrender that hands “victory” to EU, reports AFP. The unrest comes as parliament returns on Tuesday, with just weeks to go before the mid-October deadline set by London and Brussels to strike a withdrawal agreement. May’s sea of troubles swelled after the EU’s Brexit negotiator Michel Barnier strongly opposed her blueprint, saying it could lead to the downfall of European integration. 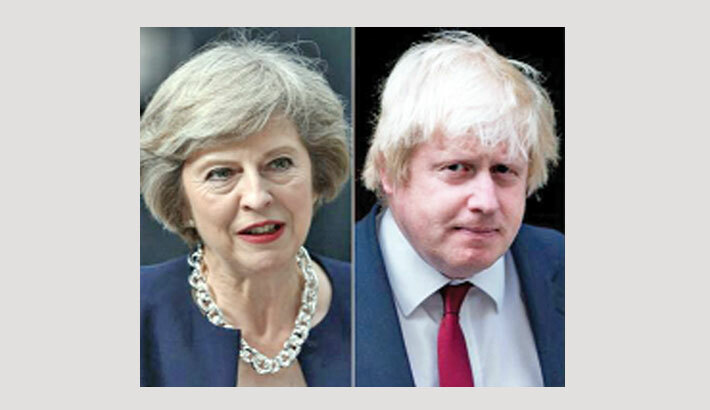 Writing in The Daily Telegraph newspaper, Johnson—the bookmakers’ favourite to take over from May—said Britain has “gone into battle with the white flag fluttering over our leading tank”. “The inevitable outcome is a victory for the EU, with the UK lying flat on the canvas with 12 stars circling symbolically over our semi-conscious head,” he said. Johnson claimed the real “scandal” was “not that we have failed, but that we have not even tried” on Brexit.